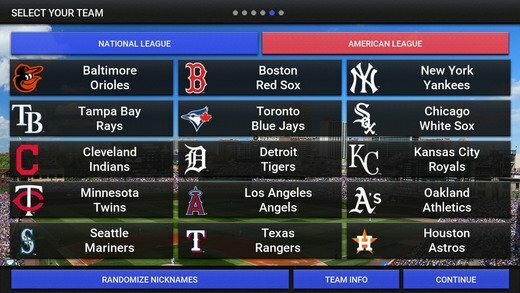 MLB Manager 2017: Take Me Out To The Ballgame! See if the career of Baseball Manager suits you in our review! If you have dreams of being a Major League Baseball manager someday, then have I got the game for you! MLB Manager 2017 Lets you put the cleats on for your favorite Baseball team and call the shots as manager. Do you have what it takes to lead them to the Pennant! It has all the aspects and strategy of playing Baseball without actually playing Baseball so let’s hand in the lineup cards, take our warm up pitches and get in the batters box! The Manager of the team has access to everything you could need for success in the pros. You can contact the front office and tell the owner what you think the team needs, a new pitcher or position player perhaps. You’ll also be able to set the Mets lineup and starting rotation. (My favorite team) You are also able to see how well the owner thinks the team is doing. Winning makes the owner happy and should allow for more money to be spent on the team! The Manager of a Baseball team can set certain strategies before the game for his players to follow during the game. If you want the team to steal more bases when they get on, you can set it where they will be more inclined to steal bases. Another example like this is where you can tell your team that you want them to guard the foul line while they’re in the field. Usually during a close game, in the later innings, a manager will be inclined to guard the line to prevent “doubles.” If you want that defense from the start, you can set it that way because you’re the manager! There is plenty of league information to get your hands on as well. Like any sports game, you’ll be able to see the league standings, where if all goes according to plan, your team will be in first place all season. You can also see trades that occur in the league as well as players on the trading block. League news, league leaders, schedule/scores, and team stats round out what you’ll be able to look at in the League menu. You’ll want to make good use of this section because this will allow you to see who your next opponent is and their style of play. For example if they like to steal bases or hit for high average and then you can set your lineup to counter that. There is a feature that allows you to play to a certain date in the schedule so if you wanted to finish the schedule quickly and start a new season, you could. The Baseball season is 162 games so this feature could come in handy if you didn’t feel like finishing the season and you know your team is going to be a playoff team. The game plays a lot like a strategy game for Baseball fans, which isn’t a bad thing. You will need to set your lineups to counter the other teams best hitters and see who the best team is. You will need to make decisions just a like a real manager does such as when to steal a base, when to play the infield in, when to pitch-out, and when to bring in a new pitcher. It’s up to you when you make these decisions but the game’s outcome hinges with every decision; you never know what could cost your team the game and that’s half the fun! I mentioned earlier that the game plays a lot like a Baseball strategy game and that involves a lot of reading as well as trying to decide what the right move is. You also have the option of not changing your strategy at all during the whole game, and you can still win. I played the Braves as the Mets and didn’t do anything crazy while I was batting. What I mean by crazy is trying to double steal or bunt for a base hit or anything out of the ordinary. I just swung the bat and I scored 12 runs. Whenever I tried to steal, it told me my runner didn’t get a good jump or read the play poorly. It gave me that answer almost every time I tried to steal second base. There is one other major issue I have with this game and that’s being able to take a player that isn’t a pitcher, out of the lineup to pinch hit. I couldn’t figure out how to double switch (can you tell I’m a fan of the National League) or just switching out my catcher for another catcher during the game. It’s so easy to do it for pitchers but there isn’t a bullpen so it looks like you can only bring in a new Pitcher in the old Pitcher’s spot in the batting order. That’s why the National League has the double switch, so the new player takes the pitcher’s spot in the batting and the pitcher takes the other spot. Major League Baseball fans that have wondered what it’s like to be a Manager should give this strategy/simulation game a look. However, there are some issues with it like the pinch-hitting/substitution issue. Baseball is the American pastime but MLB Manager 2017 bunted foul and that was it’s third strike. Nintendo Switch players with access to a 3D printer can deck out their systems in style with these free designs.